Having worked for one of Manchester’s leading criminal firms and later successfully running her own business, as a freelance clerk and law costs draftsperson, Louise was called to the Bar in 1998. 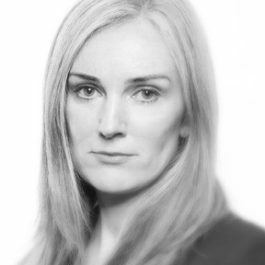 Louise’s instructing Solicitors include many of Manchester and the surrounding areas’ leading criminal defence firms. She is also a “Category 3” prosecutor undertaking serious prosecution work for a number of CPS teams. Having been at the Bar in Manchester for many years, Louise has been at Lincoln House Chambers since December 2004 where she maintains a very busy crown court practise. In 2014 Louise undertook a 6-month secondment to the GMC where she worked advising on, and developing “Guidance on convictions, cautions and determinations” in addition to other areas of policy development. Over the last 3 years, Louise has increasingly developed her Professional Disciplinary work alongside her Serious Crime practice. Louise regularly appears on behalf of the General Medical Council, before Investigation Committees and Fitness to Practise Panels, conducting Fitness to Practise, Review and Restoration Hearings. She presents cases on behalf of the General Medical Council at the Medical Practitioners Tribunal Service Interim Orders Panels and appears regularly in High Court on their behalf when seeking interim order extensions.